The political communications business is much uglier than it used to be. When I call a publicist, it’s frequently a crapshoot: Will I be talking with somebody who actually facilitates communication? Or will I get an obstructionist, somebody who applies the anything-goes absurdity of political campaigning to the business of communicating with the news media? Too often, it’s the latter. Although most publicists still work with old-school professionalism — with timely, face-value responses to reasonable inquiries — there are too many who automatically assume that Mainstream Media inquiries equal a pending attack. Therefore the response is automatically defensive, or a proactive counterattack. “Go ahead with your liberal hit-job,” one congressional publicist sneered at one of my coworkers some months ago, when he inquired about something-or-other that was outside the publicist’s comfort zone. “You’ve got two strikes against you. Third strike, and you’re cut off” another local government publicist told another of my coworkers, when the coworker gently suggested he adjust his almost laughably unprofessional behavior. This brings us to the lamentable firing of John Kennedy. Kennedy was a longtime publicist for Delta Air Lines. He was hired by the city of Atlanta to run the communications division of Hartsfield Jackson International Airport. It was a smart move. Kennedy knows aviation, knows the airport and knows communications. The city won’t say why Kennedy and his two communications underlings were fired. All three were rated “highly effective” in personnel evaluations obtained by WXIA and the AJC. Whenever I phoned Kennedy, I always got the communication-facilitator described above, rather than the paranoid political hack who assumed the worst. Kennedy was smart, experienced and and knew news (as well as aviation and city politics), but was also appropriately guarded. He viewed challenging news queries through the prism of public relations, and how the end product might affect the public image of the airport and City Hall. He struck a perfectly reasonable balance between transparency, caution and spin. 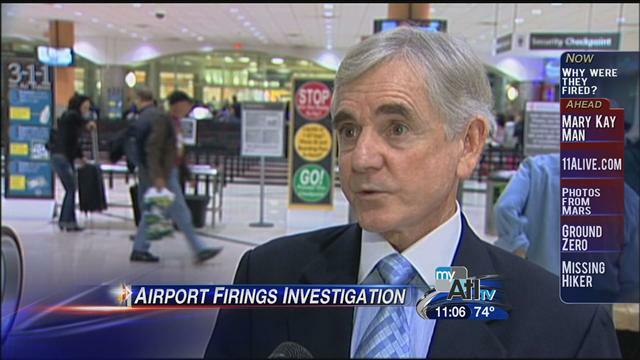 Kennedy reportedly got caught in the gears of city politics after some unflattering stories appeared on WAGA and in the AJC about the new international terminal which opened over the summer. The stories undoubtedly angered Mayor Kasim Reed. Kennedy, it appears, became a fall guy for problems created far outside the airport communications office. Was Kennedy supposed to somehow kill the unflattering stories? “Spin” the truth into something that suited city hall? Deny the existence of evidence? Maybe there’s another side to this story, but the city has declined to tell it. Kennedy’s firing was barely a blip on the news radar. But news-biz insiders noticed because we respected Kennedy’s unwavering professionalism. The best publicists are the ones who earn the respect of their potential adversaries — rather than the ones who strive merely for “attaboys” from within their own echo chambers. These days, a lot of politicians seem to think that all you need is a well-managed Facebook page to sell your story. They overlook the fact that all those links on Twitter and Facebook still tend to come from mainstream-type media. Those folks need publicists who can juggle the demands of internal politics with the sometimes unpredictable demands of news goons tromping through your airport. Media relations still matter. When you fire the guy who mastered that game, you only hurt yourself. This entry was posted in AJC, WAGA, WXIA on October 16, 2012 by live apt fire. Obviously, thrown under the fuselage. A pattern is emerging within the Kasim Reed administration. The firing of BeltLine CEO and planner, Brian Leary, was not really about spending abuses (Atlanta Beltline Inc. is after all, a private corporation — not a city department). Reed found out that Leary was being discussed as a potential mayoral candidate plus the city council was mad about Leary’s compensation package — that had been approved by the Beltline board of directors. Of course, Brian was a handy scapegoat for the T-Splost collapse. Kennedy and his staff got similar scapegoat treatment. Message to all the government-haters out there: this is why good people / professionals don’t want to work for local mayors and county executives. I’ve relied on Mr. Kennedy’s help and expertise for nearly two decades. He was a true professional. Young folks considering a career in PR would be well-serviced if they could sit him down over coffee and pick his brain about how to balance the integrity of his organization with the media’s interests. Working from the other side of the camera, over the years it became increasingly difficult to shoot anything at the airport. John was always willing to steer us around many of the barriers in our efforts to get the pictures we needed. Not to mention that he treated everyone with equal respect in a professional manner. What tipped the scales for me was that Bill Liss, the bane of many a PR hack, had the utmost respect for John.